Son of a long lineage of Tyneside shipbuilders, founder and architect Richy grew up in a former mining village, developing a fascination for the North East's once mighty industrial heritage. Continual exposure to a family metalworks business developed into a deep passion for making, and in particular for designing. This ultimately led to an architectural training, with Richy studying between the Glasgow School of Art, Northumbria University and the University of Westminster. After qualification, Richy acquired abundant experience in London's luxury residential and hotel design sector, working on prominent projects across the capital and internationally. NOVOCASTRIAN's founding acted as a means to combine a family expertise in manufacturing with a creative outlet. Richy is a practicing architect, designing high—profile boutique hospitality projects as one half of award-winning duo Lind + Almond. Younger brother to Richy, Paul spent his youth immersed a the world of sheet metal fabrication. 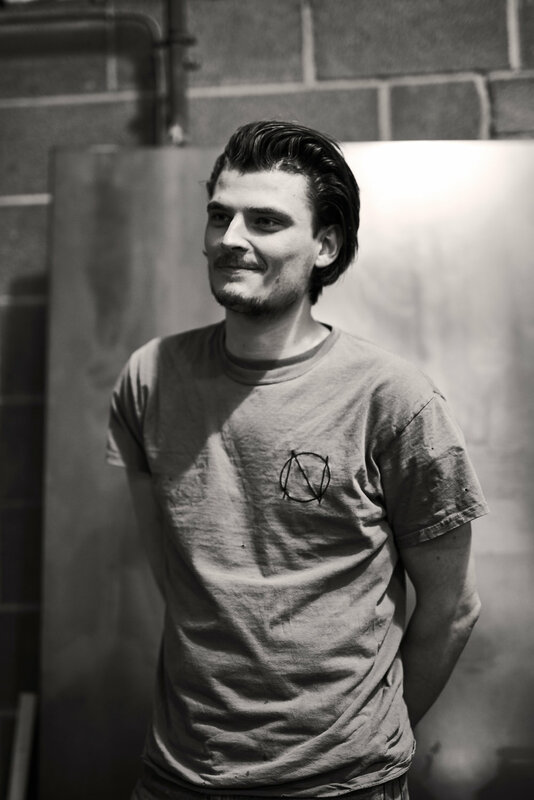 He founded his first company at the age of 21, specialising in laser cutting, high-precision CNC bending and powder coating, as well as architectural metalwork and furniture production. Paul now brings his business nous and vast technical and fabrication knowledge to his role at NOVOCASTRIAN, where he leads our team of craftspeople, makers and metalworkers. A natural engineer, Paul is the linchpin between design and fabrication.